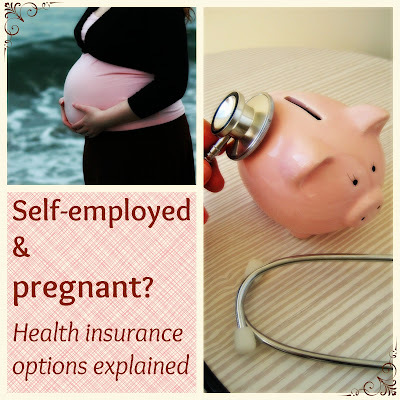 But, starting in 2014 (as in, a few months back), pregnancy can no longer be considered a pre-existing condition on any health insurance plan, including individual plans such as those purchased by self-employed people. (Plans purchased through employers are called group plans and were covered by health care reform rules before individual ones.) Since we're thinking about número tres, that means I can upgrade insurance to maternity coverage after I get pregnant without being told my pregnancy, labor, delivery, and newborn care won't be covered, and absolutely any plan I purchase now will include maternity coverage. This means I no longer have to include insurance shopping on my list of pre-conception to-dos. There's a slight catch: Open enrollment in the new plans this spring ends March 31, and the next open enrollment period is November 15, 2014 through February 15, 2015. If you have a "qualifying life event," you can have a special 60-day enrollment period outside of open enrollment, but I cannot for the life of me find anything official that states that pregnancy qualifies as a life event — only wording like "Qualifying life events that create a special enrollment period include: Getting married; Having, adopting, or placement of a child," etc. Well, having a child comes after conceiving said child — so does that count? And that "including" language — dude, could someone give me an exhaustive list already?? (If anyone finds one from a trusted source, let me know!) UPDATE: Morgan in the comments spoke to the Colorado Obamacare experts and was told definitively that pregnancy does not count as a qualifying life event, so you'll want to get coverage during open enrollment if you think you're going to need a lot of prenatal or labor and delivery care before the next open enrollment. So, anyhow, my advice is if you're not insured and you're planning on trying to get pregnant early this year (or already are and are not covered), check out — pronto — the U.S. health care marketplace, your state's health care exchange, or my affiliate partner eHealth. Yes, they are qualified to offer all the same plans, including the subsidized versions if you qualify — and most families do qualify for the subsidies. You can check eligibility through the subsidy calculator and apply right on the eHealth site. One reason I like eHealth (which I've used multiple times for our coverage changes in the past) is the centrality of a single account for your whole family, even if you have different plans for different members. The comparison features are also very helpful, and eHealth will keep track of your application process and alert you of any changes in your plan throughout your coverage. Insurance rates are set by the state, and eHealth gets its payments from the insurance companies, not from you. If you're thinking about trying for a baby later in the year, you might feel comfortable waiting till the next open enrollment in November, depending on how far along you might be at that point. That will save you some headache vs. trying to open a special enrollment period, anyway. See above: You'll want to get coverage during open enrollment if you'll need maternity coverage during the closed enrollment period. If you're upgrading from a grandfathered plan to one of the new ones, your health insurance might cost more on the new plan than it does now — or it might not, depending on your income level and how much of a subsidy you qualify for. It's best to plug your numbers into the subsidy calculator and go from there. (Click "Find Plans Now" and then "check if you're eligible for a government subsidy" on the next page.) Our grandfathered plan is cheaper than switching our whole family to a new plan, so we'll switch just me again for maternity coverage when I need to. If you're looking for alternative health care during pregnancy and birth, check that the plans you're interested in allow for the midwives, naturopaths, or other practitioners you want to visit. For my plans in eHealth, there's a "Find Doctors" link under the plan details, which links to the health insurer's provider directory. If your plan doesn't have a link, I'd look up the insurer's website directly for a provider directory, plus scan through the plan details for any restrictions. I imagine this varies a lot from state to state. All the plans available to us covered midwifery care, along with naturopathy and chiropractic (only 12 visits a year, but something). If you choose to go it alone without health insurance, keep in mind a couple drawbacks: First of all, you'll owe an uninsured penalty (though it might be very small, depending on your income), and you'll be risking a potentially huge medical bill for all your care during your pregnancy and birth. Even a home birth with midwives will usually cost $2,000-$5,000, an uncomplicated vaginal hospital delivery will start around $9,000, and C-sections start at around $15,000. That's not including prenatal office visits ($100 or so a pop), labs, ultrasounds, newborn care, postpartum care, prescription drugs, and any extras such as chiropractic or prenatal massage appointments. Even if you anticipate having an unattended and uncomplicated home birth, be aware of the gamble and find a level of risk that works for you. An emergency transfer in an ambulance followed by a C-section and NICU stay could easily run into the hundreds of thousands. For me, even though I frequently think of insurance as a sort of scam, I'd rather know we won't be bankrupted by something catastrophic. For those of you with children already or going to have one soon, the new health care plans should include vision benefits for kids, and some states also offer pediatric dental benefits, either included in or separately from the health plans. Keep in mind that if you're covered through an employer's plan (your own or a spouse's), are on your parents' insurance, or qualify for and are covered on a low-income plan such as Medicaid, you don't necessarily (probably don't) need to investigate further. This is just for those of us individuals (freelance or unemployed) who have no one else insuring us and need to figure out what to do. So that's my good-news update on the situation for the knocked up & self-employed! Remember, if you want maternity coverage soon and you don't have it yet, get rolling on applying before March 31 for coverage beginning May 1. Are you self-employed and seeking out insurance coverage? Let me know if you have any questions or helpful information to share about your application experience or your state's peculiarities. NB: I am not an insurance professional, nor do I play one on my blog, so check any facts that relate to you with your state & federal regulations. The above is based on my personal experience and research. You can have an insurance assistant walk you through the application process or answer any questions FOR FREE, so that's an option if you're confused! Check with your state for assistants available to you, or use the eHealth help or live chat option. If you want to read more about having a healthy pregnancy and birth, my affiliate partner Mindful Nurturing is offering The Essential Parenting Collection, with 35 eProducts on mindful parenting for only $49.97. Add the module to your cart for only $19.97, or read more here. Disclosure: eHealth & Mindful Nurturing links are affiliate. This post is all mine, baby, as a happy update to my previous lament. I pay for my own health insurance. When I read a post like this it makes me so glad to live in the UK where this is all available for free on the NHS paid for through our taxes. I spoke with the "Obamacare" folks for Colorado and their response was no, a pregnancy does not count as a qualifying event. In the case that you do not sign up by March 31, get pregnant, and need to sign up for coverage, you will have to go directly to insurance companies to apply. They cannot turn you away anymore by calling it a preexisting condition; however, you cannot receive discounts/tax rebates outside of the open enrollment periods. In my case that will mean paying three times as much as if I sign up now. For my (dual self-employed) family, my daughter is currently enrolled in health insurance and hubby and I are not. Even with the rebates, the coverage will be unaffordable for the two of us. We would like to add to our family this year and have not decided how insurance will fit into the picture. My comment to the helpline in colorado is that our scenario highlights how Obamacare may leave some lower, but not low enough to qualify for assistance, income pregnant women out on their own, uninsured. Btw, yes, the penalty for us if we do not sign up equals barely the cost of one month of their bronze, or lowest cost, coverage. My experience here. Thanks for posting on this. I think that there are many self-employed women in a reproducing way that are trying to be thoughtful. So thankful we ditched insurance and signed up with a healthcare sharing coop a few years back. Counts as "insurance" so no fines here. Covered 100% all of my midwifery care and even covered every dime of my son's cancer treatments. Never will we go back to health insurance. I have a friend who self-pays and she was telling me about this book she's been reading called "The Self-Pay Patient" by Sean Parnell. I took a look at his website, http://selfpaypatient.com/, and it's got a lot of great information. His book is a great tool for self-paying, finding affordable health care, finding alternative healthcare and much more. Totally worth checking out! @sustainablemum: Yes! And I am jealous. I was reading an infographic recently on what people in different countries pay for a birth, and for one country after another, it was 0. @Morgan Lipton, MA CCC-SLP: Man, that makes no sense to me that pregnancy wouldn't trigger a qualifying life event. Thank you for clarifying — I'll update the article with that info. FYI, there's a program in my state (Washington) that offers a "spenddown" plan for pregnant women. "[If] your income is above the standard for free or low cost … coverage you may enroll in the Spenddown Program. Spenddown is like an insurance deductible. The amount of your deductible is based on your income. No coverage will be authorized until the spenddown (deductible) is met. You are responsible for the medical expenses used to meet your spenddown (deductible)." Since you've already talked with an insurance representative, I don't suppose there are more programs out there to help you, but thought I'd mention it in case other states have further programs than just the subsidies and low-income health care. @Megan @ Purple Dancing Dahlias: That's really cool, Megan! I love that coops are working so well — definitely an alternative worth looking into.